FLASH SALE for Spring Break BB Camp! This camp is open to all baseball players ages 7 to 18 years old. Players should bring their gloves, bat, batting helmet, and batting gloves. Participants will go through a complete baseball training regimen just like the pros are doing right now in spring training. Along with the fundamentals and drills, we will also cover the mental aspects of the game as well. Each player will be evaluated to improve on their individual strengths and weaknesses. 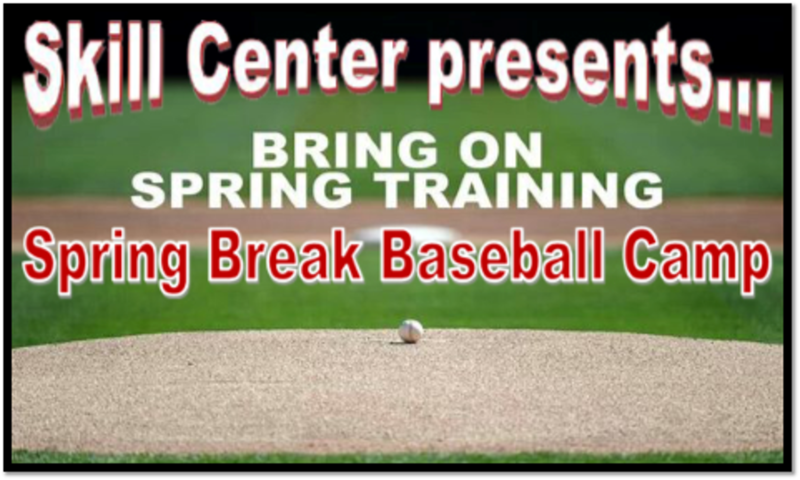 This spring break camp will cover hitting, bunting, fielding techniques for ground balls and fly balls, throwing, throwing program, base running, and pitching. We have some of the best instructors in the area and they will show you how to be the best. *The camp will be held both indoors and out on our field. Make sure to bring cleats as well as tennis shoes for inside of the facility. No spikes or cleats allowed inside of the facility! ©2019 Davis Skill Center / SportsEngine. All Rights Reserved.